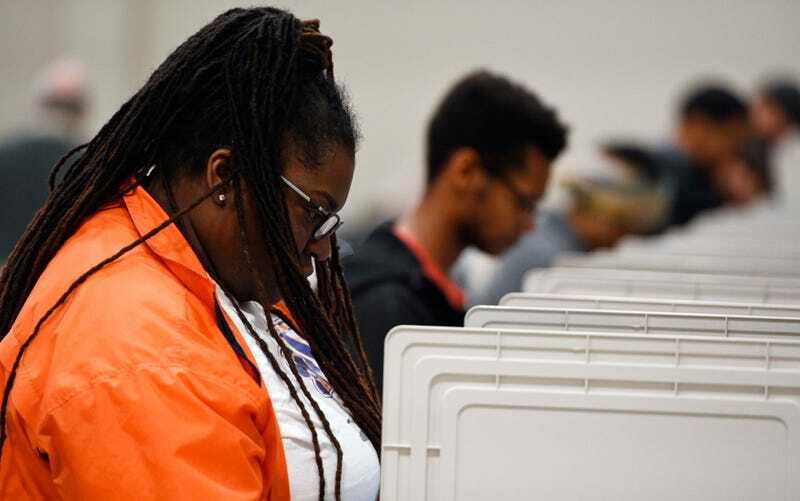 People cast their ballots ahead of the Tuesday, Nov. 6, general election at Jim Miller Park, Saturday, Oct. 27, 2018, in Marietta, Ga.
Voter suppression in Georgia was one of the most discussed issues during the 2018 midterm elections. Front and center in the debate stood Democratic gubernatorial candidate Stacey Abrams, a longtime voting-rights activist who had dedicated much of her career to fighting for every citizen’s right to vote. Abrams was also running to become the state’s first black governor and the first black female governor in the history of America.